Video marketing is a growing strategy, and shows no sign of slowing down. Whether you are featuring a video on your website, or investing in video ads across social networking platforms, this is a powerful medium with a great potential to drive sales. The human brain loves audio-visual content. In fact, studies suggest that the average person remembers 95% of a message when it’s watched, compared to 10% of a message when it’s read. Ashil from Brisbane Video Production says that Videos are also important for building engagement on social media. Facebook video ads for example, receive up to 30% more views than image ads. The presence of a video on your website also has a significant impact, with the average user spending 88% more time on website that features a video. Videos up to 2 minutes long are an effective way for businesses to keep the attention of users visiting their website or viewing their content on social media. A compelling video can have a huge influence on buying behaviour. Landing pages with videos see 80% more conversions compared to those without videos. Many consumers will also visit YouTube and seek out videos about a brand and its products before they decide on purchasing it. When it comes to search engine rankings, quality content is king. A combination of text, image, and video demonstrates to Google that your website features content that is varied, and valuable to users. Adding quality content and overall video marketing can boost your SEO. Video Marketing is the future of content marketing and should be taken seriously. Marketing videos hosted on platforms such as YouTube, Facebook of Vimeo, drive users to your website. Videos hosted on these platforms offer accessible and engaging content to billions of users. Videos yield 1200% more shares than text and images combined. Not only can this help drive traffic to your website, but having your video viewed and shared across a range of platforms will help you build high quality backlinks. Did you know that YouTube is the 2nd most widely used search engine? Processing more than 3 billion searches every month, Youtube is larger than Yahoo, Bing, AOL and Ask combined. The highest performing Australian brands on Youtube have more than 100, 000 subscribers, and have reached more than 50 million views with their videos. In addition to being a search engine, YouTube is also a social media platform, making it a valuable way to receive feedback and queries from customers. There are a variety of video marketing styles, some of which are particularly effective ways to build brand trust. Customers like to see a product demonstrated before they make a purchase. In fact, 90% of consumers said that product videos were important in their decision making process. In getting a closer look at the product and services, and understanding how they work, viewers feel more comfortable about making a purchase from your company. Product videos should anticipate and answer some of the key questions your viewers might have. These videos take the viewer behind the scenes, showing them the origin of your brand, what drives you, how your product is made, or the daily processes of your business. In a brand story video, you should introduce yourself and possibly some of the team members to the viewers, allowing them to put a face-to-name. This gives potential customers an impression of honesty, credibility, and reliability. If you want to build trust among new or potential customers, then your existing customers might be the best people to deliver that message. Video testimonials can generate leads. Seeing and hearing other consumers with similar needs giving positive feedback about your product demonstrates its quality to users who might be weighing your product up against competing products. If the reviews and testimonials speak to your target market, then the video can be an extremely powerful way to promote your brand. 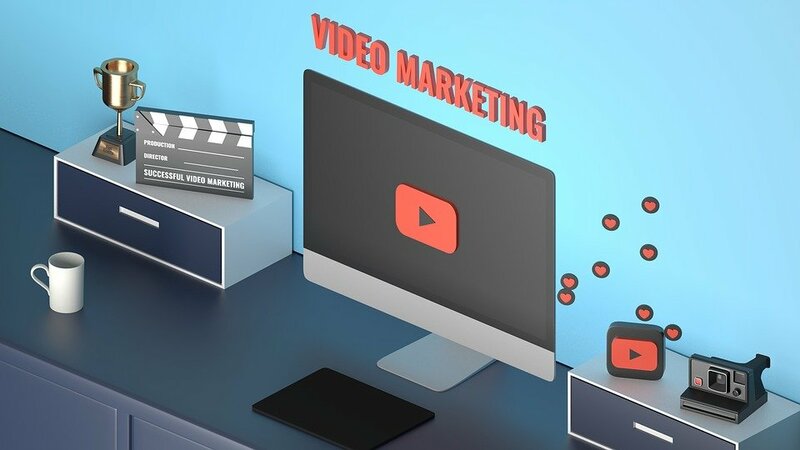 When investing time and money into video advertising, it’s important to make sure that the video aligns with what you’re trying to communicate through your other marketing strategies. Regardless of the medium, the content of your ad needs to be engaging and relevant to your audience. The right video has the power to increase your customer base, your website traffic, and ultimately your conversion rates, while building a sense of trust among new and existing customers.